My kit is one of the 3 releases done in 1975. It was re-released again in 1976 and 1990. Soon after the beginning of Operation Barbarossa (campaign against the Soviet Union), intelligence officers in the operation room of the Supreme Commander of the Wehrmacht (OKW) received papers in succession which reported German victory over the Russians. The officers going through the papers looked full of self-confidence and men operating typewriters were elated with the victory. Everything in the room seemed to be lighted up with joy. They found strange characters "T-34" in all the papers they recieved but did not know what the three characters meant. The "T-34" contained a grievious cry of fear and distress that German tank officers and men who struggled and died on the field raised from the bottom of their heart. Now the story comes back to the 1930's in the Soviet Union. Recognizing the need of tank forces, Joseph Stalin and the brains of the Red Army decided to develop high-speed light tanks and attacking heavy tanks, after athe example of the United Kingdom that had acquired a position as a leader in the theory regarding tanks, and tank tactics. The Russian authorities introduced into this the idea of the "Operation Plan 1919" of Fuller who ws said to be a genius in tank tactics. As part of the plan, the Russian authorities bought in 1931 two Christie tanks from the United States. They found the particular invention created by this eccentric American usable s a basis of their new high-speed tanks. Thus were born Russian BT tanks, which developed from the first model 1 through the model 7/2 into the last B7-7M (BT-8). In the meantime, the Russians improved on the Christie suspension which had proved to have some disadvantageous points, and repeatedly put it to practical tests. The shape and construction of the BT tanks indicated the basic design of Russian tanks to be developed later. The features of the BT tanks included sloping armour plates on the body, characteristic cylindrical turret which projected rearward to contain projectiles, and diesel engine employed in the last model. These features were all inherited by later Russian tanks, which developed into modern tanks. The A-20 and T-32 tanks, successors to the BT tanks,were designed by a team which consisted of M.E. Koshkin, who served as chief designer and young able engineers from the Leningrad Technical Institute who ranked beside Kotin, designer of the KV tank. In 1938, Koshkin's design team was ordered to design a new medium tank. Unlike the A-20 and the T-32 which used both wheels and tracks, the new tank was to be a full-tracked fighting vehicle. It was to have a weight of 25 tons, armour thickness of 45 mm maximum, a 76.2 mm main gun, Christie-type suspension, and Russia's proud V-2 diesel engine which proved successful in the BT-7M. Design work was completed as early as the beginning of 1939, because in basic points the team had only to follow the design of the T-32 which they previously made. From the end of 1939 to 1940, the Russian authorities put the pilot model to severe tests including the well-known winder 3,600 km trial run. Thereafter, the new medium tank T-34 was officially accepted for production and appeared as one of the important weapons to decide the fate of World War II. In the meanwhile, the design team met with misfortune. Chief designer Koskin, the pillar of the team, died of tuberculosis at the age of 42 in prime of life. This was because he worked too hard. His machines, however, ran about the mother earth of Russia and saved the motherland by destroying the invading forces. They contributed toward remaking the map of Europe after the war. The victory of the T-34 owed much to a combination of the priority principal which the designers basically followed to facilitate production and the unique production system that producers employed. The T-34 was the very fighting machine. No contemporary tank of other nations had so small number of parts as the T-34. Of course, no other tank had unnecessary parts, but the T-34 had reduced the number of necessary parts by unifying them under happy ideas. To cite an instance, pins connecting track links together had no cotter pin or clasp. This was made possible by a bright idea. Connecting pins shaped like bolts were inserted from inside (body side) to hold track links together, but they were liable to come off because of the rough movement of the tank. To prevent it, an ingenious device was used. 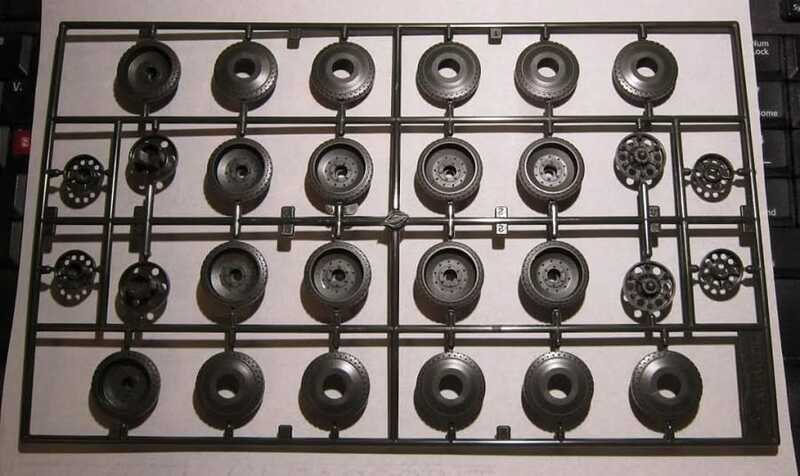 A semicircular guide plate fixed near the rear end of each track near the sprocket wheel was designed to automatically push back connecting pins which were coming out of the rotating track. Such happy ideas were found also in other details. In reply to the efforts of the designers, Russian production engineers developed new production processes with "More an Faster" as their motto. One of them was "chilled casting" which took the place of conventional sand-mould casting. 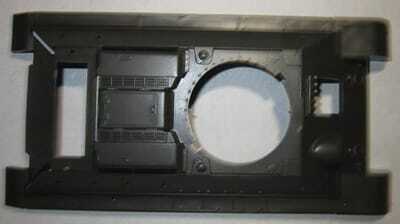 The chilled casting employed metal moulds and could be called a kind of die casting. 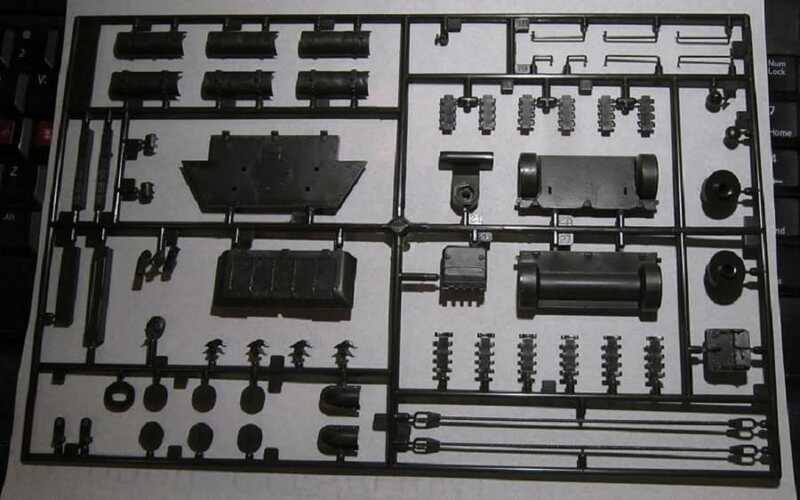 It was used in making large castings for the diesel engine, the heart of the T-34 tank.This process, unlike the sand-mould casting, required little skill which could be attained in a very short time. Also, large presses were employed to stamp out armour plate for the T-34 tank. They were able to stamp iron plates with thickness up to 45 mm and produced mainly turret roofs and side armour plates in large quantities. These production processes ere based on the Russian priority principal and sybolic of thorough-going Slavic rationalism. On the other hand, the V2-34 diesel engine, the heart of the T-34 tank, compared favourably in precision with engines manufactured in West Europe. German engineers were suprised at the precision of the diesel engine when they inspected captured T-34 tanks. It is said that they took their hat off to Russian engineers who made parts of light aluminum alloy used in some components ofthe diesel engine. The tank gun which constituted the main armament of the fighting vehicle was the best one in those days. The high-velocity 76.2 mm gun was originally 30.5 calibres long, but later became 41.2 calibres long and much improved in performance. The gun was able to penetrate 54 mm armour plate at a distance of 1,600 metres. The T-34 tank was the product of Slavic rationalism. It was powered by the excellent engine, armed with the powerful gun and protected with stamped thick armour plates welded onto the body in a rather unsightly manner. Thus, the T-34, unlike West European tanks, did not have a polished shape at all. It, however, was superior in fighting power to any tank then manufactured by any other nation of the world. The T-34 was a real fighting vehicle and great tank. 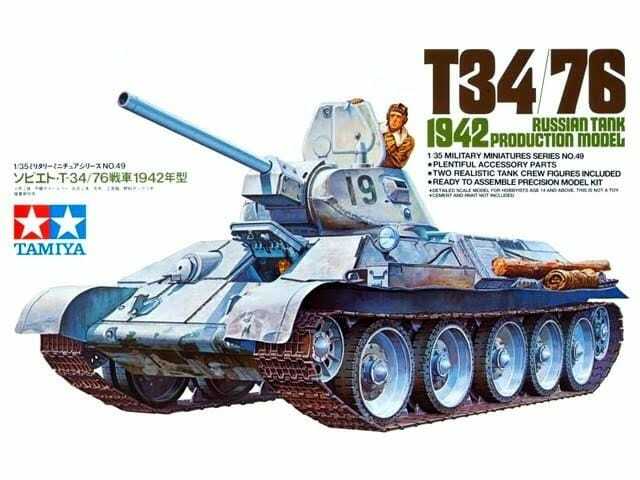 Tamiya has done the T-3476 at least 3 times. I have these. The second one is the 1943 version. Biggest noticable difference is the road wheel patterns. Then there is the CHTZ production one. It has even more different road wheel pattern and a different turret. The box art shows a T-34/76 posed again one of Tamiya's signature all-white backgrounds that they do most of their kits box art like. The tank is dark green covered with a fresh solid coat of winter white-wash. It has the turret no. 19 on the sides of the turret. A tank commander wearing a leather jacket with a fleece collar and leathr tanker's helmet is looking out of the top turret hatch. One corner of the box art lists the kits features: 1/35 military Miniature Series No. 49. 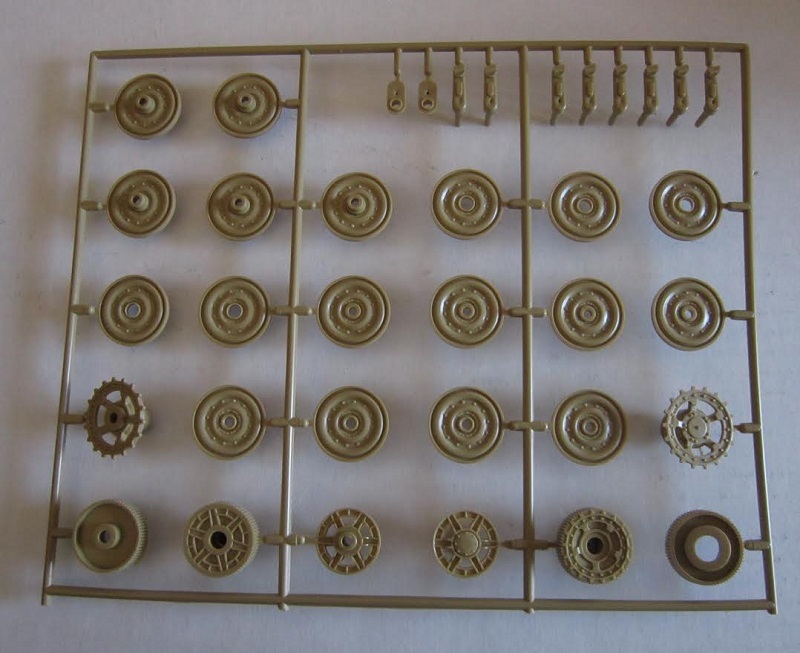 Plentiful accessory parts, realistic tank crew figures of 2, ready to assemble precision model kit and modelling skills helpful if under 10 years of age. One side panel repeats the box art in color smaller. It is followed by the history of the T-34 in Japanese and Tamiya's address in Japan. Kit was made in Japan. A black sticker with white lettering on it at the end of the box gives Model Rectifiers address in Edison, NJ who was the imported and distributor for Tamiya. The other side panel shows color box arts of 4 other armor kits that Tamiya markets. These are shown with scenic backgrounds, not Tamiyas usual all-white ones. No kit numbers are provided for these 4. 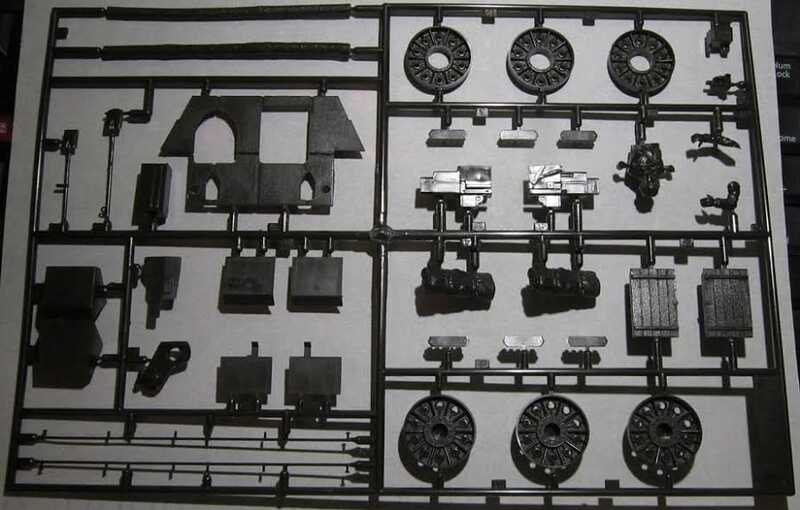 This kit contains 4 dark green parts trees, a loose dark green chassis tub and roof, black vinyl rubber band type treads, a length of brass rod and a steel screw and nut, the decal sheet and the instructions. 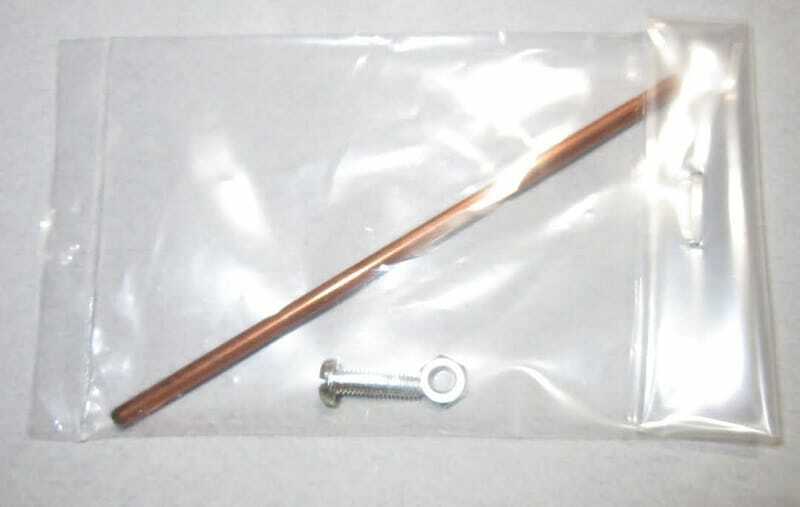 The 4 trees are in a staple sealed cello bag and the rod, screw and nut are in another small sealed cello bag. The instructions consist of a single sheet that accordion folds out into 8 pages in 7 1/4" x 10 1/4" page format. Page 1 begins with a black and white repeat of the box art, followed by the history of the T-34 and illustrations of a Christie tank, a BT-5 and a BT-7. Page 2 continues the history. Page 3 has the parts trees illustrations with a list of the names of the parts. Pages 4 through 6 holds a grand total of 6 assembly steps. Pages 7 and 8 supply the painting and marking instructions. 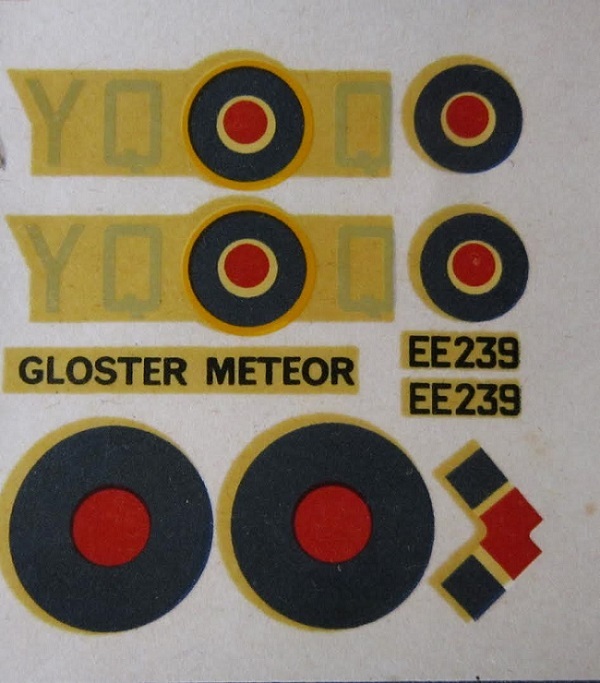 There are 5 turret marking options of numbers or mostly slogans in Russian. One slogan translates into FOR FATHERLAND. The fifth one is just numbers that show that the tank is no. 4 in an unknown unit. Dark green letter A tree holds: tow cables, spare track links, engine air intake grill, rear hull plate, fuel tank halves, tow hooks, exhaust shields, grab handles etc. (63 parts) 25 of these parts are shaded out in the parts trees illustrations as being excess and not needed to complete the model. ​Black vinyl letter B tree holds wheel caps (20 parts) 4 caps are shaded out as being excess. ​Dark green letter E tree holds: alternate road wheels, another crewman figure, engine parts, shovels, wood crate, rolled canvas tarp etc. (39 parts) 30 of these parts are shaded out as being excess. The last dark green parts that are loose is the hull tub and hull roof. The hull tub has motorization holes molded into it, because Tamiya also sold a motorized kit of the T-34/76. ​There are 2 runs of black vinyl rubber band type treads. ​The length of brass rod and the steel screw with nut are next. This is a neat older kit from Tamiya. ​I paid $2.88 for my kit, that was marked down from $3.50 at the Toy Fair store at the mall that since has gone out of business. It has really shot up in price since 1975.